The rebooted 'Charmed' pilot debuted at NYCC. Does it recapture the magic? – AiPT! The rebooted 'Charmed' pilot debuted at NYCC. Does it recapture the magic? The rebooted ‘Charmed’ pilot debuted at NYCC. Does it recapture the magic? Charmed premieres on The CW October 14th. 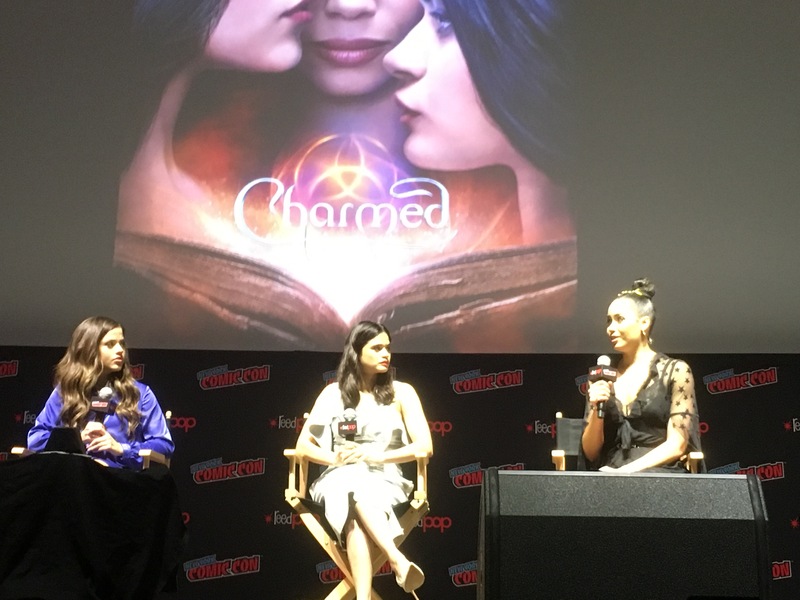 The CW Network’s upcoming Charmed series had its world premiere at New York Comic Con on Sunday to a packed house at Hammerstein Ballroom. The show is one of a couple of CW reboots of 90s WB Network properties this season. The new Charmed revolves around sisters Macy (Madeleine Mantock), Mel (Melonie Diaz), and Maggie (Sarah Jeffery). Mel and Maggie Vera grew up never knowing about Macy until after their mother is killed under mysterious circumstances. And like their Halliwell precursors, soon after the sisters are reunited, each discovers they possess a unique skill. Eldest Macy can move objects with her mind, Mel can freeze time, and Maggie can read minds. Soon enough they find themselves fighting for their lives against demons. The pilot is very in keeping with its 90s counterpart, and the real world injustices the sisters take umbrage with is just the sort of thing Prue, Piper, Phoebe, and Paige — not to mention some of the actresses who played them — would fight today. And fans of the original series in the audience cheered at various familiar callbacks. This seems to reflect a changing direction for the CW. As with Roswell, New Mexico, a reboot of the 90s WB series Roswell, an effort is being made to address the lack of diversity in the earlier iterations of these popular shows. “Whether or not you choose to engage with it, politics affects everybody,” said Mantock.